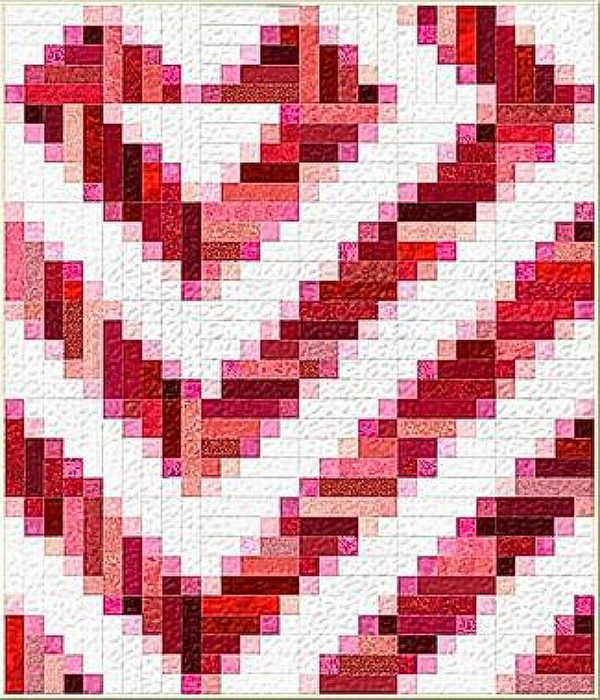 Create this fun one-block quilt to make a quilt that is 60 x 70 using strip sets! You choose your color. Twist and turn the blocks to create an intricate, stunning visual effect! Great project for beginners.